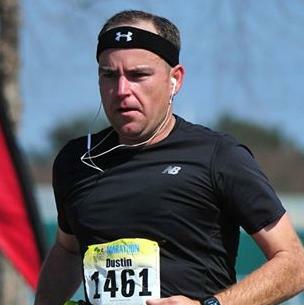 Best of luck on your half this coming weekend - my hubby ran one Sunday. I have endless admiration for runners - I hate running. Down to brass tacks here - I fly to Salt Lake for my next national even on 4/12 so I'm in the throes of beating myself to death with training. Really wishing the east coast would pick a season - it was 75 on Saturday and 20 with the windchill this morning. Finally had a run where I didn't hate myself, this weekend. Gonna try to keep that going. Sunday-hoping to not be in pain. we woke up to snow on the ground. Not sure of the temp. but that was not the reason i could not feel my legs. they were done. at one point i tried to run and i put my foot down and my leg started to go out from under me. I typically dont eat anything before the race. I eat my Carmalitos during with a Salt Tab if its hot...I do drink lots of water and carb load a few days before. So, I've been MIA for a while. Super busy getting ready for Nationals for my dogs, still a month away but I've seem to hit my stride for training with them. Shoulder is almost 100%, still doing lighter workouts and have managed to lose a pound! WOOT!! Lots of time spent working and running dogs in agility, tracking plus other stuff.